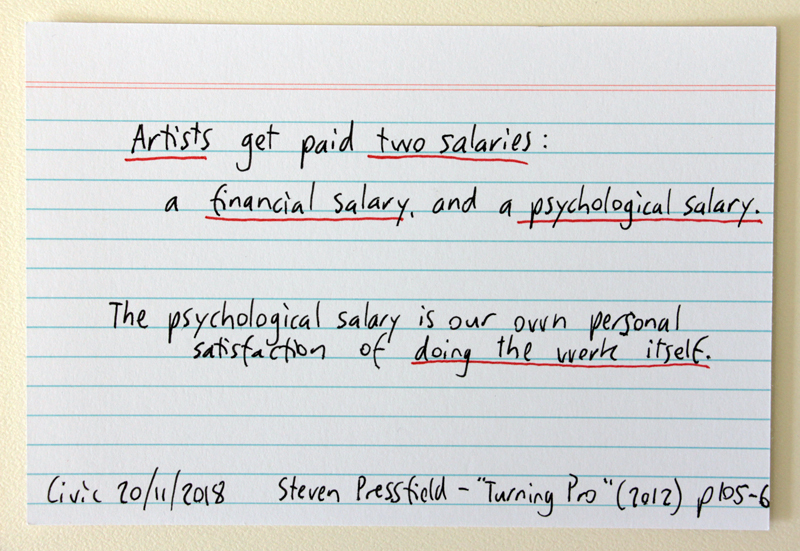 Artists and creatives face particular challenges when doing their daily work. Writer’s block, distraction, and self-doubt are challenges that creatives struggle with at the worst of times. I recently published my blog post Beyond distraction: books about workflow, concentration, and productivity. In that post, I recommended four books about the threats to our self-control by internet technology. 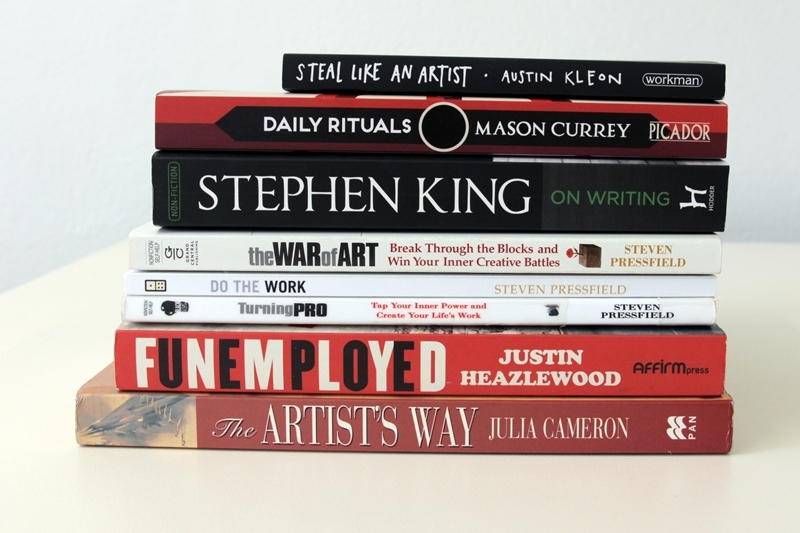 This is a similar list of book recommendations, aimed at artists and those who do creative work. 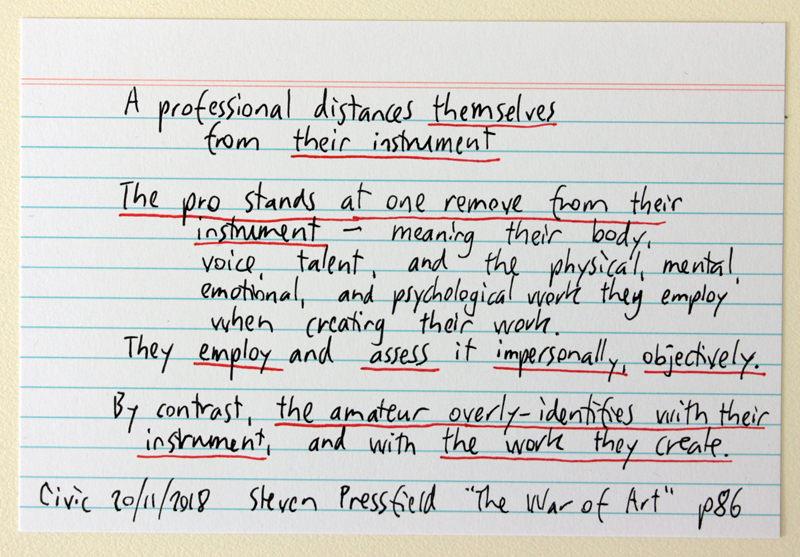 All of these titles explore the challenges that threaten to stop artists from doing their important work. 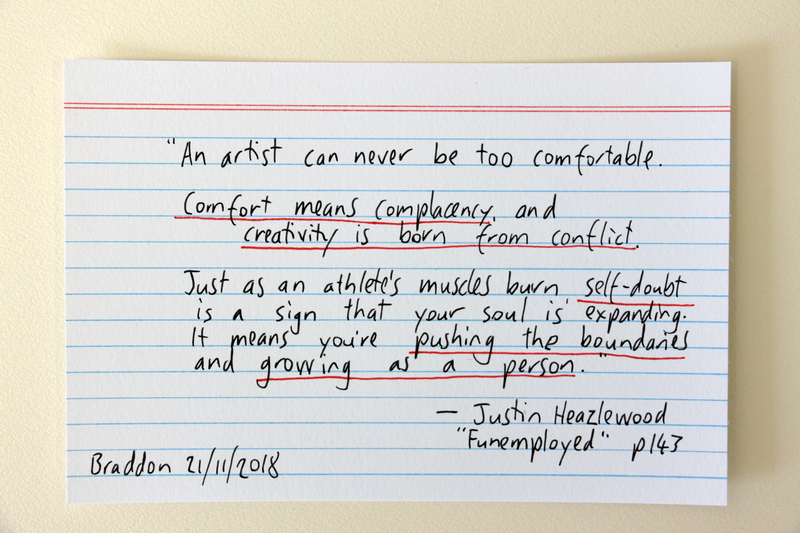 An entertaining and wise book, Justin Heazlewood charts life as an artist in Australia. 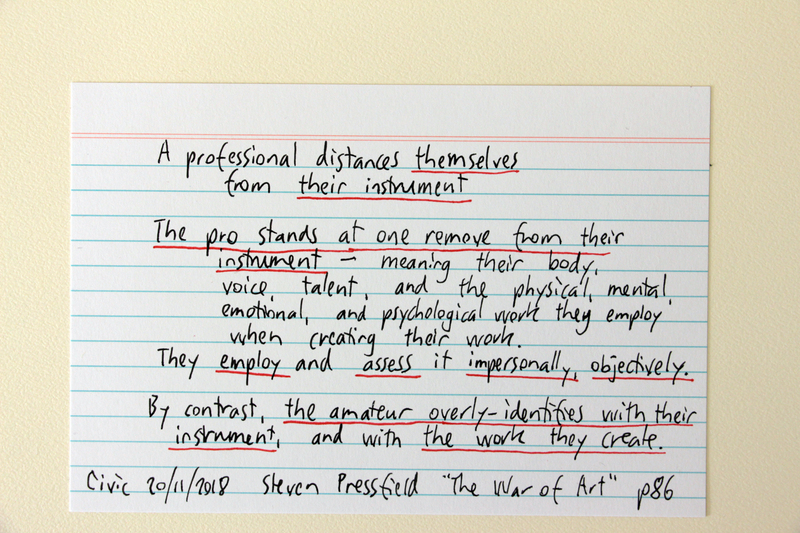 He outlines the rewards and pitfalls that artists can expect to encounter on their journey. This includes everything from creative struggles (“second album syndrome”), self-confidence problems (“selling yourself”) and monetary problems, through to the mental health challenges (“the black dog”) and professional jealousies (“the black cat”) that artists often face. There is even a chapter (“Giving Up” about artists who have made the decision to cease working as an artist, and find other vocations. The book was later turned into the ABC podcast Funemployed, which features interviews with notable Australian artists like Tim Rogers, Judith Lucy, John Clark, and Jen Cloher. 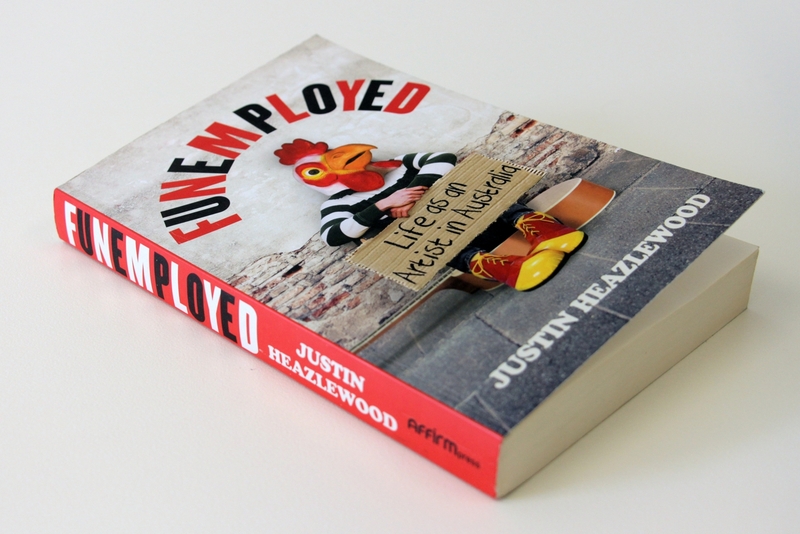 But I highly recommend the full depth of the book Funemployed even for those who absorb the podcast. Haruki Murakami rises at 4:00 am, and writes for 5 to 6 hours straight. Thomas Wolfe wrote from midnight to dawn, standing in his kitchen with a typewriter placed on top of his refrigerator. Beethoven composed while walking outdoors, with sheets of music paper in his pockets ready for inspiration to strike. 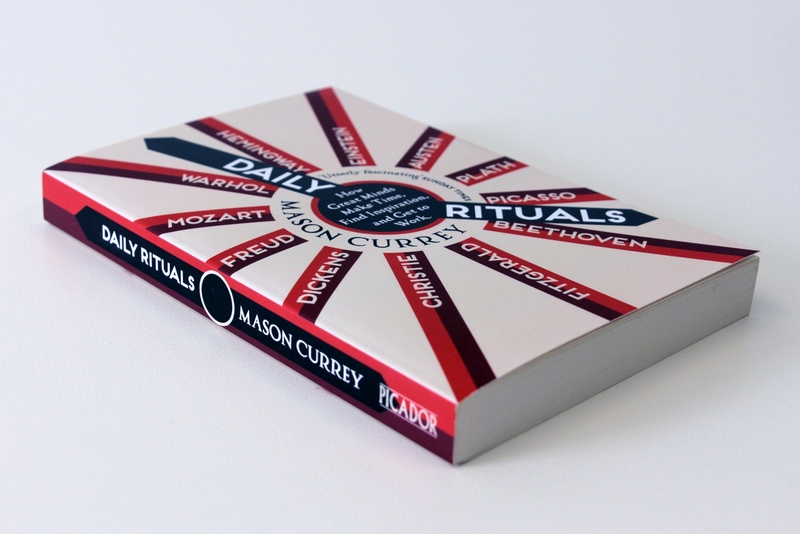 For me, the benefit of reading Daily Rituals is thinking about the importance of the conditions that cultivate creativity. The special places and special routines that have allowed the great works of art to emerge from the minds of their creators onto the page. 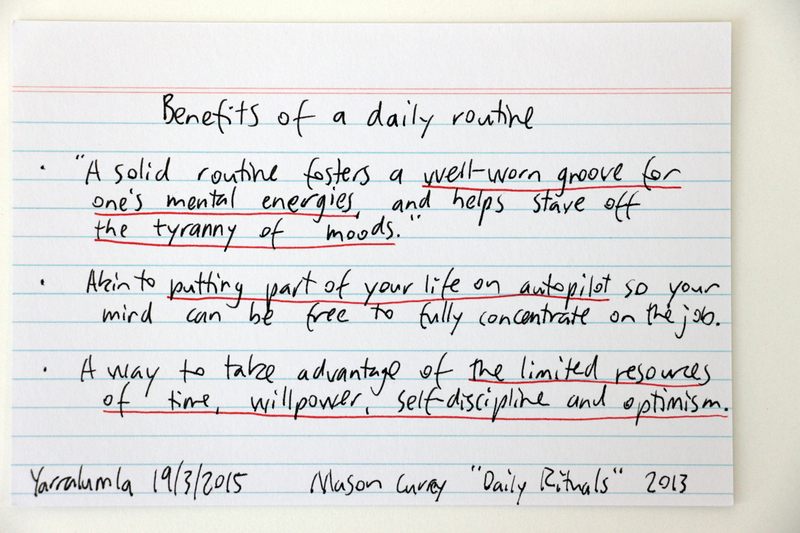 Use Daily Rituals like a menu of possibilities. 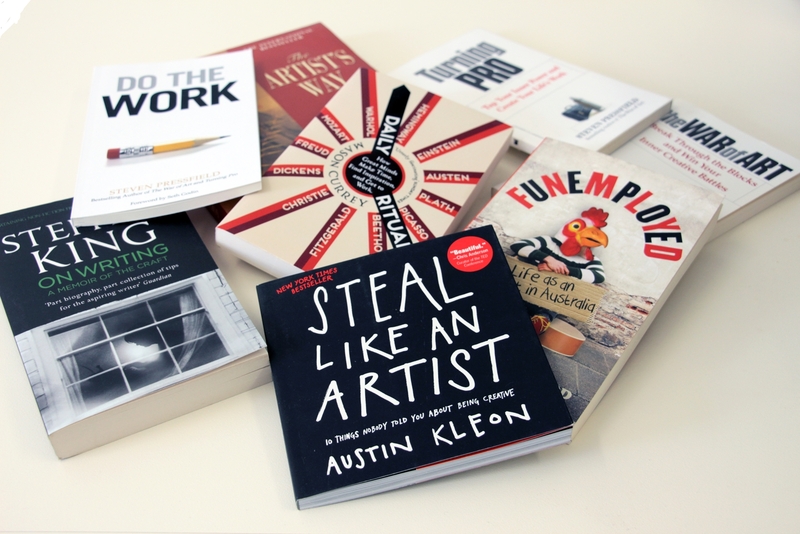 Borrow and steal some of the best ideas, as you create your own work habits. Julia Cameron’s classic twelve-week course for identifying and removing one’s “creative blocks”, and nurturing your inner artist. 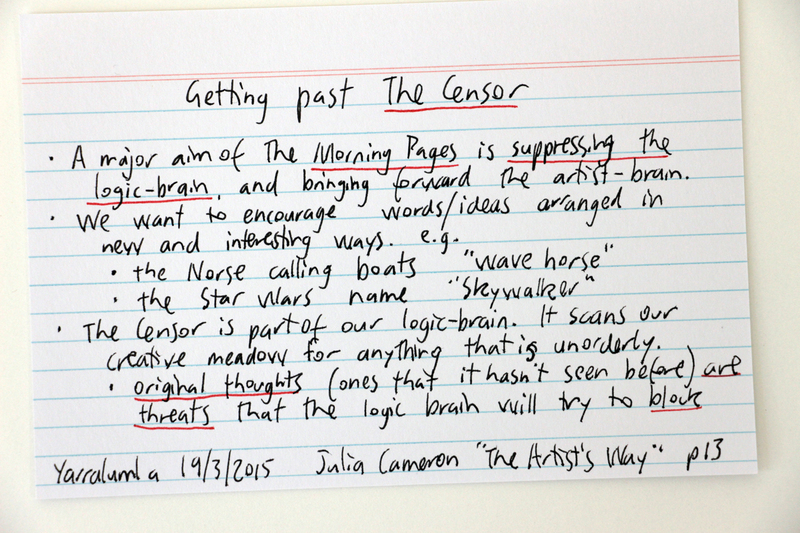 Some of the suggestions that Cameron makes includes beginning the day with “the morning pages”: three pages of handwritten stream-of-consciousness writing. This taps into ideas from the subconscious, and ‘gets the ball rolling’ for the creative work that will follow later in the day. 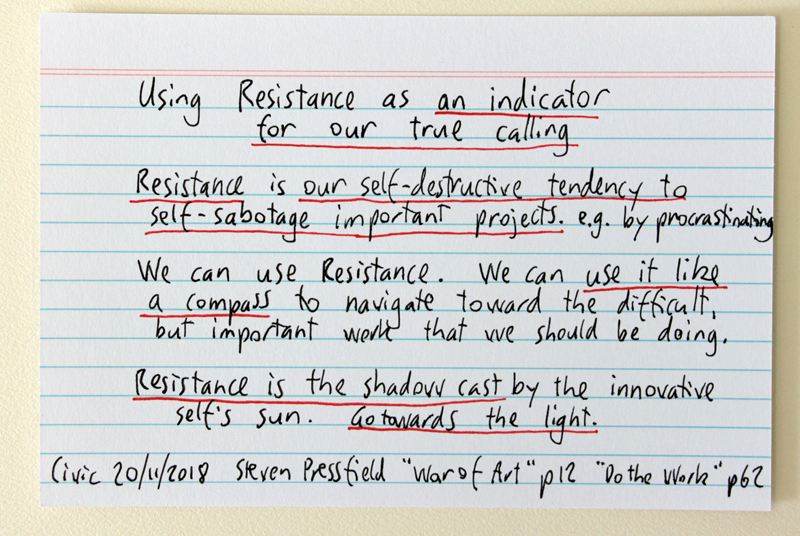 The exercise helps us to get past what Cameron calls ‘The Censor’ of our minds, that prevent unfamiliar (and potentially valuable) creative ideas from occurring to us. Similarly, Julia Cameron advocates continually “restocking the pond” of your imagination. Artists cannot create art without constant stimulus for inspiration. Cameron recommends treating yourself to attending art exhibitions, taking thoughtful strolls, and other self-care activities that add “fish” of inspiration to the “pond” of your mind. First recommended to me by cartoonist First Dog on the Moon during a coffee catch-up in 2014, The Artist’s Way served an important stepping stone for me settling into the role of ‘artist’ and taking myself more seriously. 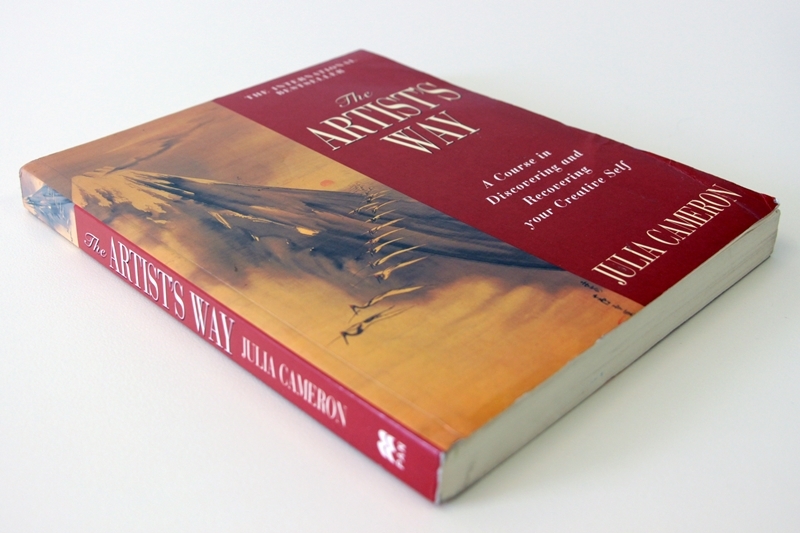 The Artist’s Way was a big seller when released in 1992, so it should be easy to find a copy of this book. 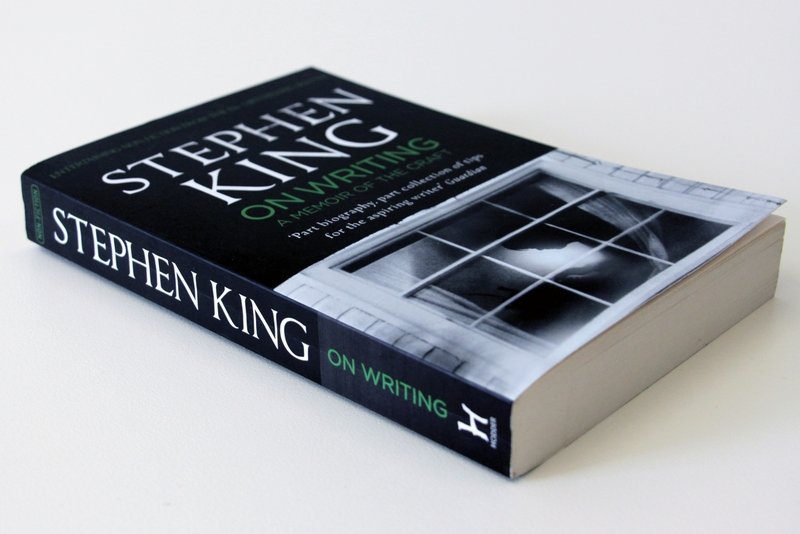 Although I have not yet read one of Stephen King’s novels, I love this memoir about his working habits. 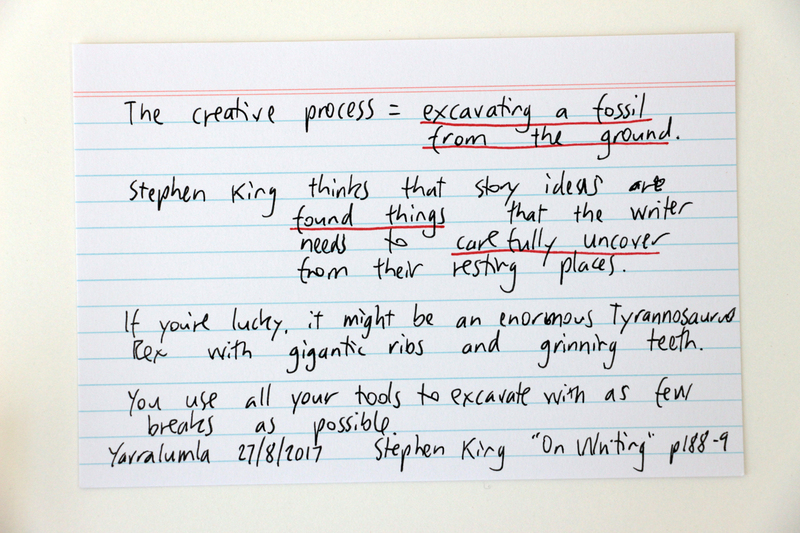 King speaks about writing as though he is a palaeontologist excavating the bones of a Tyrannosaurus skeleton. Writers are in a sort of “creative sleep” when they work, according to King. He imagines that the idea is all there before he begins the process. His job is to carefully and patiently expose the bones of the story. Your job is to make sure the muse knows where you’re going to be every day from nine ’til noon. Or seven ’til three. King says that if you adopt this habit of arriving at work every day, sooner or later your muse will know when to show up. This is a short book that can easily be read in 20 or 30 minutes. I keep it on hand to dispense to any artistic friends who are feeling creatively uninspired. 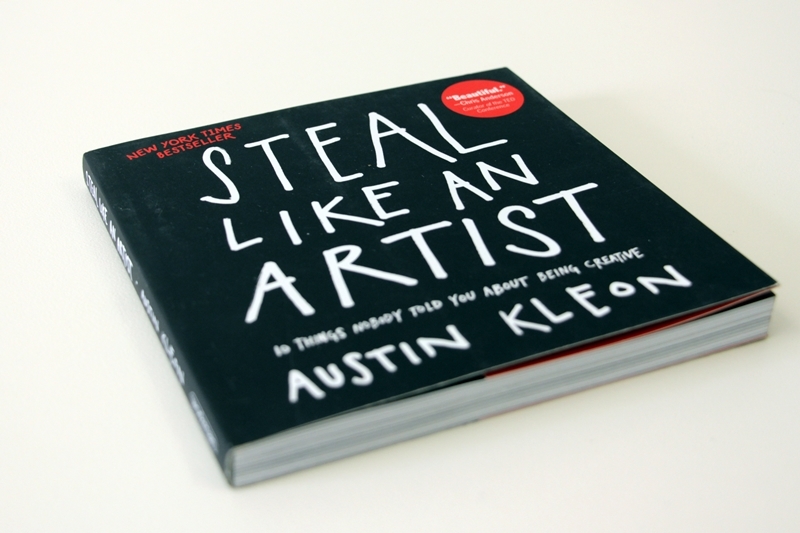 Kleon urges us to “steal like an artist”: to unashamedly copy from the artists and heroes that we admire. 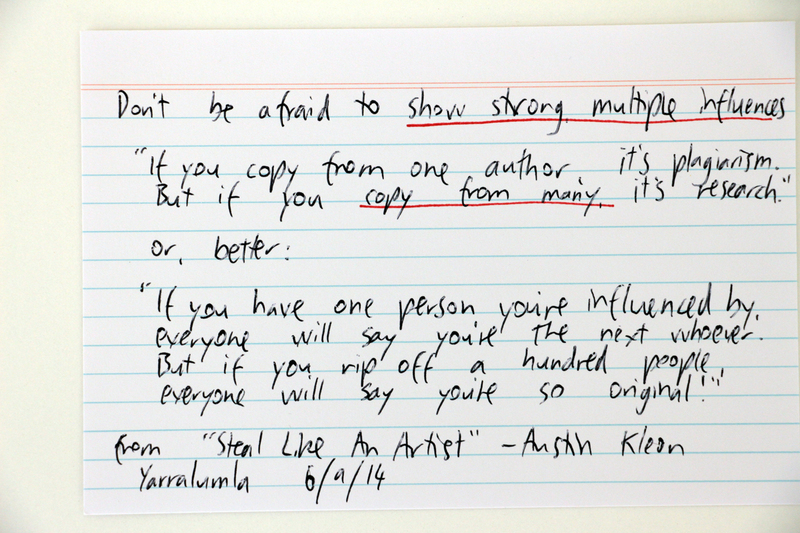 Importantly, we must steal from multiple, diverse artists. Borrowing from so many artists at once means our output will not sound derivative. It will be transformed beyond recognition into something unique. I appreciate the section entitled “Step Away from the Screen”, which features a photograph of Kleon’s studio. 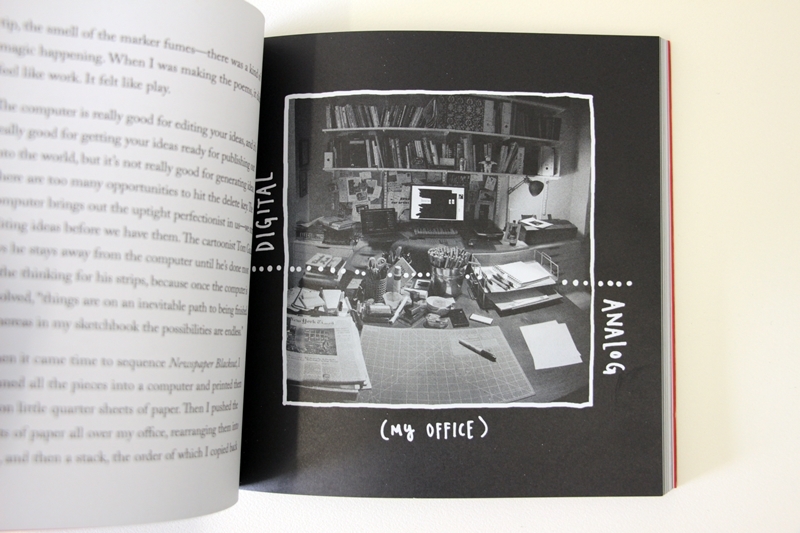 His studio is divided into a ‘digital’ half dominated by his computer, and an ‘analogue’ half dominated by pens, paper, scissors, and other tactile objects. 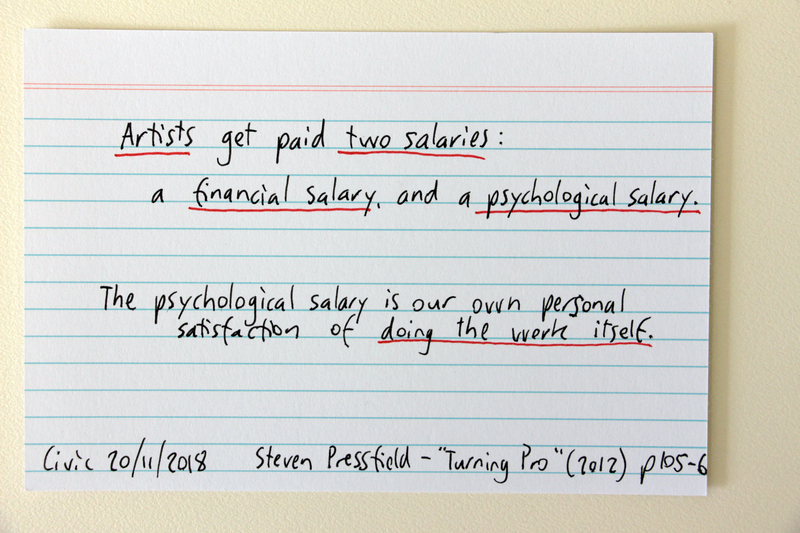 Dividing your time between computer and non-computer tasks is a great way to reinvigorate your creativity. I really recommend that you read Steal Like An Artist by Austin Kleon. 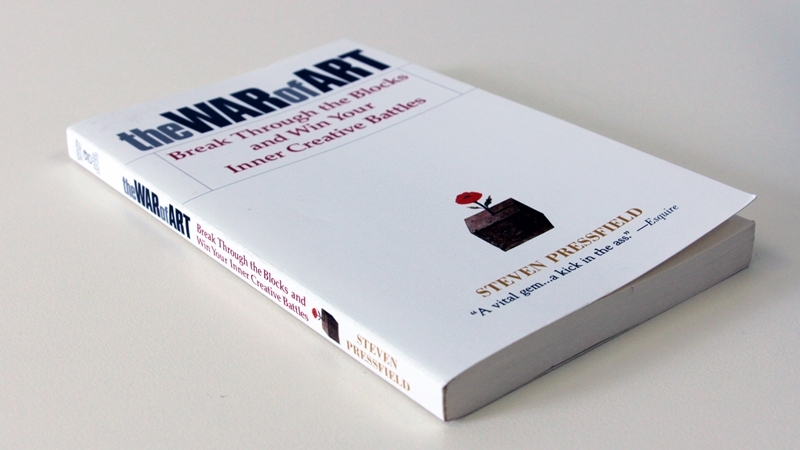 A lot of people rate The War of Art (2002) by Steven Pressfield as their go-to motivational book. 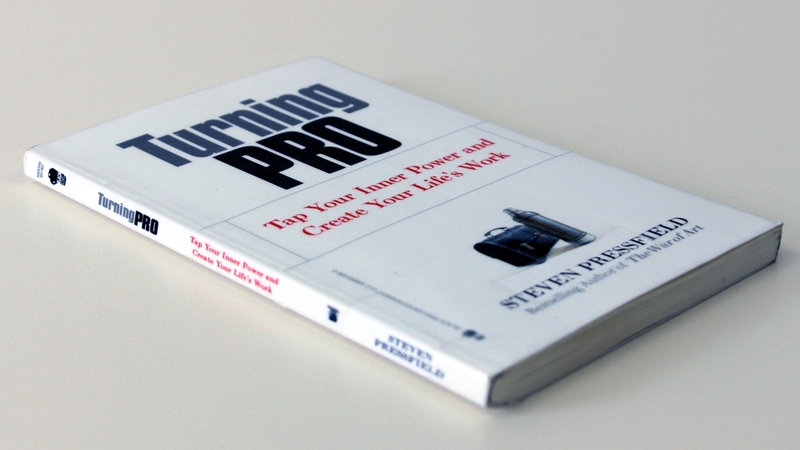 For my tastes, I think Steve surpassed himself with his two follow-up books Do the Work (2011), and Turning Pro (2012). 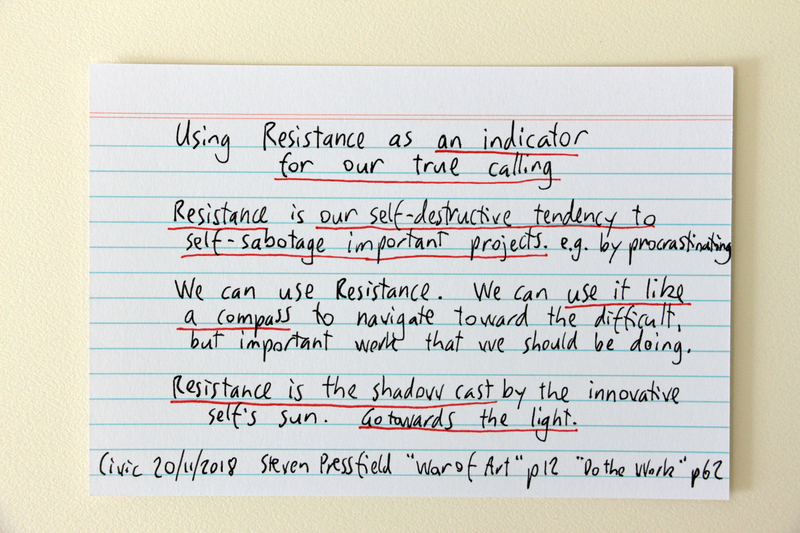 In these books, Steven Pressfield describes the supernatural feeling of procrastination that stops us from working on the most important things that we should be doing. He calls this force “Resistance”. 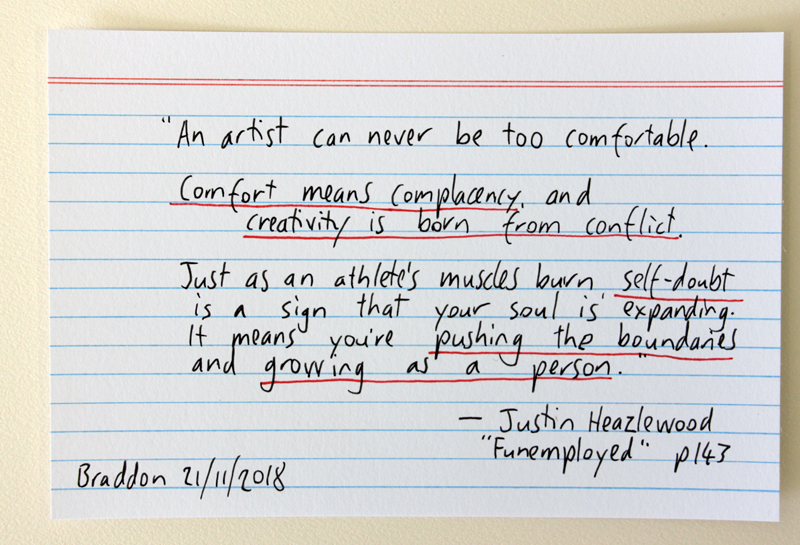 Creative pursuits—be they art or entrepreneurial—are hard. 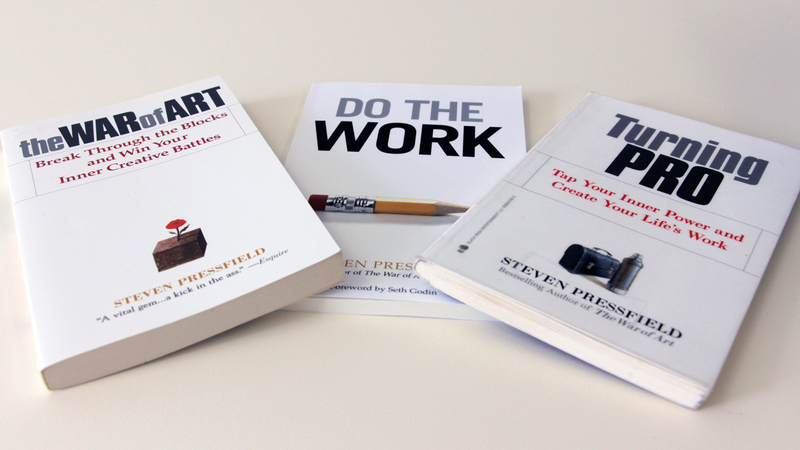 Invest in these three books to fuel your creative fires. Want more book recommendations? I have another blog post titled Beyond distraction: books about workflow, concentration, and productivity which features books about the threats to our attention spans from procrastination and internet communication technology. 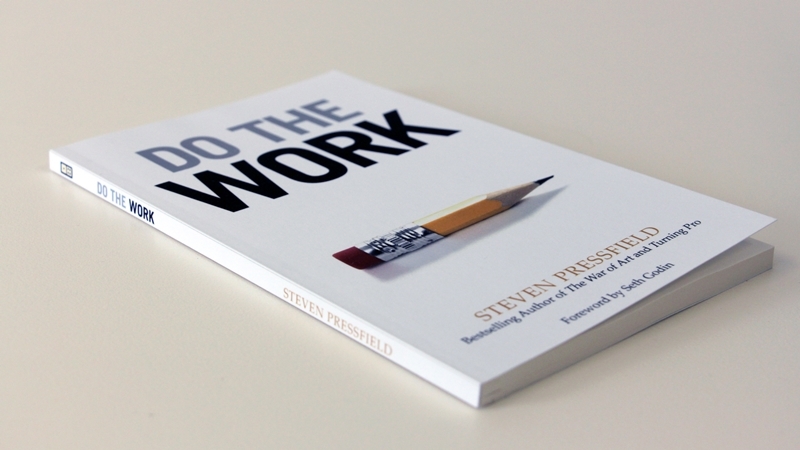 I recommend books about the topic of productivity and working effectively as a knowledge worker. Books about building self-control and positive daily routines.